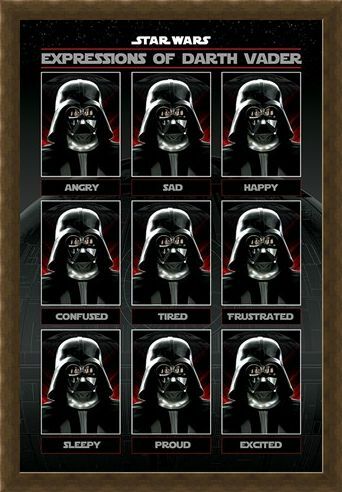 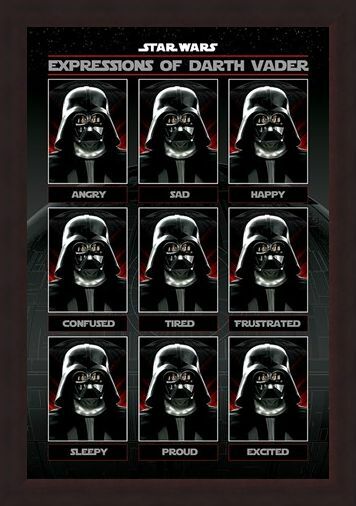 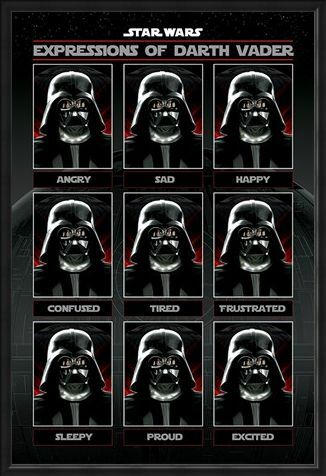 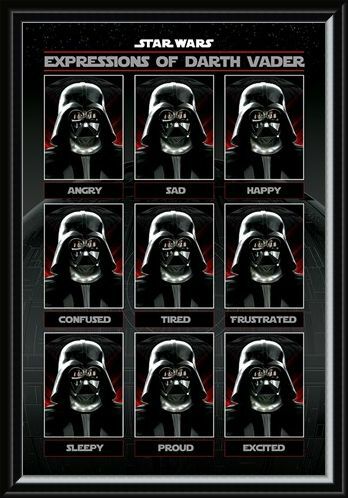 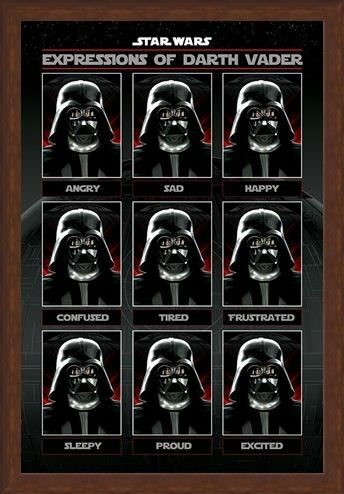 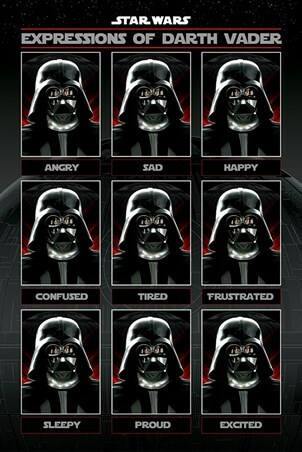 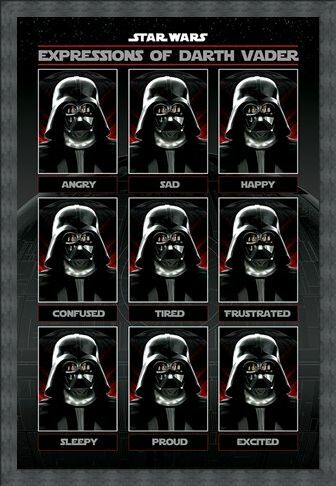 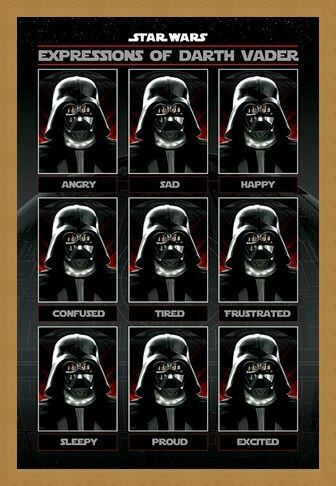 Darth Vader may not be one for expressing his emotions clearly, however if you're in tune with the dark Jedi turned Sith Lord, then you'll know exactly what mood he's in! From tired to angry to excited, this wicked poster from Star Wars has a look for every emotion the masked meanie has ever shown. 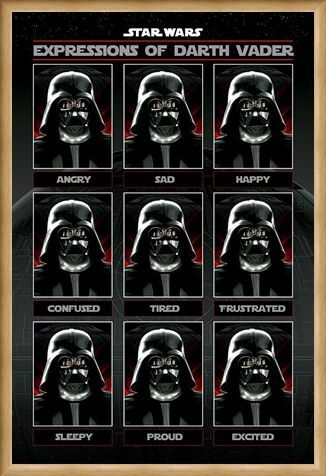 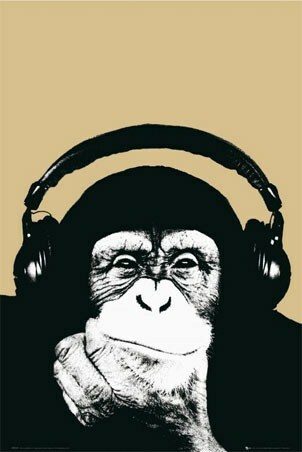 Hang this awesome design in your room and practice your best Vader face! High quality, framed Expressions of Darth Vader, Star Wars poster with a bespoke frame by our custom framing service.